I’ll show my hand from the off – I have the absolute honour of being a trustee of Team Margot Foundation and I’m a friend of the Martini’s…those two things are really important in my life, really important. If I may, I’ll tell my story. When I first heard that Margot was poorly there was obviously concern, but then it turned into “Margot has Leukaemia”, that was a whole new level, and to be honest, had me asking “what is that”. As the full severity of Margot’s condition was becoming evident, my family were having our own battle. 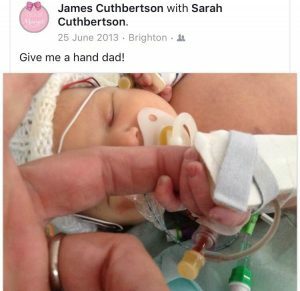 My daughter, Katie, who turned three in June, was born (in an ambulance outside the house) with some scary complications, I can remember the words now: “you have a 50% chance that she’ll live”, this turned into “you have a 50% chance that she’ll be brain damaged”. I’m pleased to report that Katie fancied those odds better than me, won through and is now a three-year-old that’s full of life and just perfect. I feel rather odd offering this at the start of a story surrounding a little girl that didn’t make her third birthday, but I think it’s important on several levels. Firstly, it’s a chance to compare and contrast fortunes and be thankful, but it’s more than that, when Sarah (my wife) and I were at our absolute lowest, there was one really consistent message of support – it was from Yaser, with words of comfort and hope; just the right words, at just the right time – those that know him will know he has a skill for that. These words came at a time when most of us didn’t know what to say to him and Vicki. Those of us with a religious calling, asked for help, those of us that don’t, maybe still asked for help, but either way we sent love. I offer you the example to show what a selfless family they are, even when they were dealing with their own struggles, they made time for others in their hearts. I confess, I may have found myself in a spiral of self-pity. 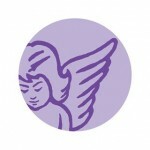 As Margot’s conditioned deteriorated, I saw a family give everything for their daughter. 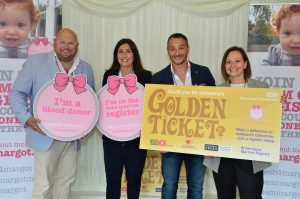 A campaign for stem cell donors was launched and Yaser and Vicki left no stone unturned, stretched every sinew to find a match for dear Margot. 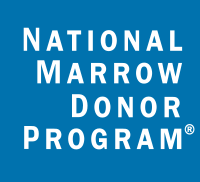 People that know Margot’s story will know that Margot found a partial match from a donor in Germany…sadly, the strength of the match wasn’t 100% and whilst it gave Margot more time with her family, it wasn’t enough to save her. Margot left us on 27th October 2014. Margot’s passing broke our hearts. I felt so angry, in what messed-up world is this right, was my main thought, that, and the feeling of total helplessness towards Yaser and Vicki. It felt that all was lost. What was the point in the campaign, those donors that came forward at the registration days, what a waste of time effort, energy, love…but no, once the dust started to settle, and the smallest bit of perspective could be taken, something very magical had happened amongst the agony…Margot had done something very special, something most of us will never dream of, Margot, through her campaign, will save hundred’s of lives and has raised hundreds of thousands of pounds for crucial research to help make Leukaemia a thing of the past. 1. It could be a member of your family next. This disease doesn’t discriminate between good and bad people. 2. If you are eligible, register your stem cells, you could save a life or give someone longer with their family – what greater gift can you offer. 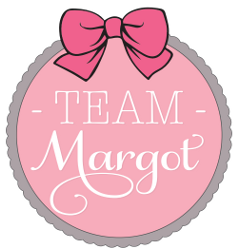 Team Margot Foundation continues the work Margot inspired, work I’m privileged to be a part of. Now, please be inspired, please join the stem cell register and why not encourage someone else to. For more info on how to do that, please click here.